Provide comfort for the family of James "Jim" Dugdale with a meaningful gesture of sympathy. Passed away in his home on February 4, 2019.
of Almonte, Ontario, at the age of 80. Dearly loved and missed by his wife for over 50 years Maureen Esther (nee Morrow) and his children Christine (Dean Foshaug), Jamie (Flo), and Mark (Christine). Proud “Grampa” to Sophie and Tavish Foshaug as well as Cecelia and Lola Dugdale. Son of the late James Dugdale and Elizabeth Ferguson and stepson of Mary Spinks Brother of Brian, Donnie, Bill, Marilyn, Carl and predeceased by his siblings Betty-Ann, Wayne, and Brenda. Remembered by his many cousins, nieces, and nephews. Missed by his friend Riley. 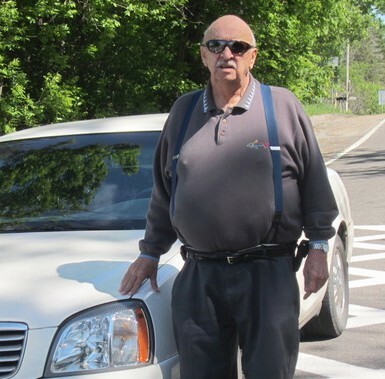 Donations in memory of Jim may be made to the Almonte Legion. On Saturday, February 9, 2019 from 10am to 11am with Memorial Service to be held in the chapel at 11am. Reception in the Almonte Legion. A Legion Service will be held the same morning at 9:45am in the chapel. We encourage you to share any memorable photos or stories about James "Jim". All tributes placed on and purchased through this memorial website will remain on in perpetuity for generations. The Foshaug Family, From your best friend Red Laidlaw, and others have sent flowers to the family of James "Jim" Dugdale. You will always be in our hearts Uncle Jim. I’ll miss your lively conversation and big bear hugs. Maureen,Christine, Jamie, and Mark I am so sorry for your loss. Jim was a great guy and wondrful neighbour. Growing up I remember how he and dad would share a beer or two. Now they can share a couple in heaven. My thoughts and prayers are with you during this sad time. Send flowers for James "Jim"
Plant a Memorial Tree for James "Jim"